Hey everyone. Sorry we haven't been posting as frequently as usual. We've changed our posting frequency to twice a month now and placing more focus on sharing content via email until our new website is up and running and we switch over. If you want to receive our emails then please sign up to our mailing list. Today we're sharing a set of posters we recently designed for Le Visage Professional Skin Therapy in New Zealand. Terry sent us an emailer that she wanted to replicate into 3 large posters for her clinic. 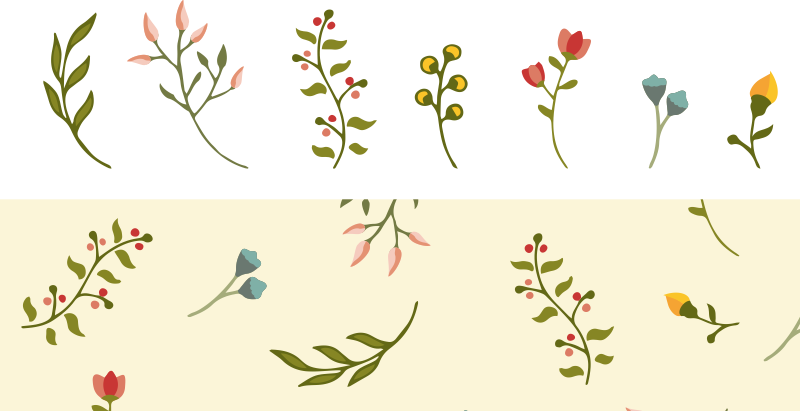 We couldn't find a nice enough matching background in the style she wanted so we drew some little plants in a similar style and worked them into a pattern across the background. Fun. Here are the posters with the drawings below.